This is a popular myth in our culture. In fact, the opposite is true. 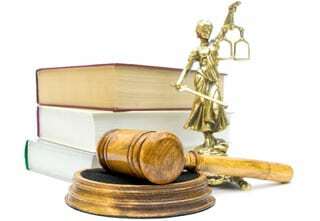 When you go to court, you get the product of distributive bargaining, which means that the court is limited to only those remedies that have been established in the jurisdiction in which that judge is a bench officer. The rules of law and the court cases interpreting the law change regularly. Most states have enacted statutes that would fill a book outlining all of the various circumstances and events that alter the rights to property and children. And those are changing constantly. People who choose to resolve their family disputes outside of court can use much greater creativity, imagination, and flexibility to design workable plans for their children, their property, and their money. The legal professionals who engage in Alternative Dispute Resolution have long known this. Arbitration was designed to take litigation outside of the court. Mediation came about to eliminate the restrictions imposed by judges who sit in courtrooms. Collaborative law has evolved to give parties the best of both worlds. You’re free to be creative, and you have an attorney. It’s your money. It’s your family. It’s your life. It should be your choice. Many lawyers today are exploring collaborative law as a new option. Collaborative Divorce involves professionals — such as lawyers, accountants, and financial planners — who share the belief that a family is forever, and that family disputes are best resolved using collaborative strategies rather than adversarial approaches such as litigation. Lawyers who practice collaborative divorce believe in and have been trained in the non-adversarial dispute-resolution process. Through this new process, they model for their clients a commitment to honesty, dignified behavior, and mutual respect. Imagine a divorce in which collaboration replaces competition, financial disclosure is mandatory, and mediation becomes the rule rather than the exception. The advantages of collaborative divorce are many. Sessions are held in private, which keeps many details out of the public record. With their lawyers assisting, the clients are in charge and make their own agreements, rather than giving power and control to courts. Without the need to wait for a long time for hearing or trial dates, the divorce can proceed in a timely fashion, saving money on attorneys’ fees and court costs. Through good planning and the collaborative allocation of resources, accountants and financial planners may successfully assist the family to conserve its assets to the advantage of both the parties and their children. Just as after the death of one partner, the family will naturally restructure itself after divorce. Yet for this restructuring process to be optimally healthy, the parties will likely need professional help, which the collaborative-divorce model provides. Lawyers, however well intentioned, have not been trained to solve the client’s emotional and financial issues without assistance. Divorcing couples can also benefit from seeing a “divorce coach.” Usually a psychotherapist, this coach teaches communication skills, educates and assists the couple with consistent co-parenting skills, and normalizes the difficult closure issues. The divorce coach can achieve great strides in these areas and help the family unit, through change, emerge strengthened as a whole. One might question the expense of involving so many experts in an individual case. Yet we have seen in case after case that a collaborative divorce saves the parties not only money but also the great emotional cost of litigated divorce by taking less time, inflicting less trauma, and causing less damage to children. Ronald M. Supancic is Certified as a Specialist in Family Law by the State of California Bar Association. In 1999, he was trained in collaborative law. He has been a mediator for the Los Angeles County Superior Court since 1980. Since that time, he has also served as a Judge Pro Tem in the Family Law Department of the Los Angeles County Superior Court. Is it true that going to court is the only way to ensure you’ll get your fair ..